At Hikma Infotech, We are working towards current and future technology. We have experience professional to develop a Android Apps for many purposes. Android is the fastest and most popular open source mobile operating system that has taken the world by storm. Similarly, in the spectrum of application development we stand ahead with our technologically sustainable direction to build incredible high quality apps. Companies are creating highly successful applications for diverse categories namely Social Networking, Lifestyle and Business. Despite of it’s a late arrival in the mobile and smart-device industry, Android has got a position of one of the most preferred brand. Android is the operating system for Smart phones as well as Tablet computers based on Linux and led by Google, the giant player in software industry. More than 50,000 Android apps being already developed and the Android app market market is booming day by day, especially for it’s user friendly features. This unique concept of communication is reshaping the way people used to communicate. 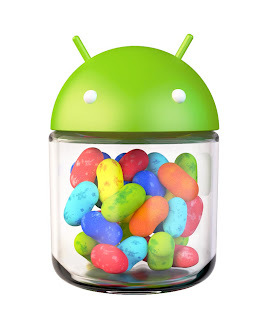 The Android platform is becoming hot favorite to smart-device users as well as the application developers. There is a true addiction of mass people towards the Android apps, creating a large gap between the demand and supply of efficient developers. There is an opportunity in this open platform to develop different kind of apps as you can think of and also an open marketplace for distributing your products to a large and growing user base with the help of it’s own tools. 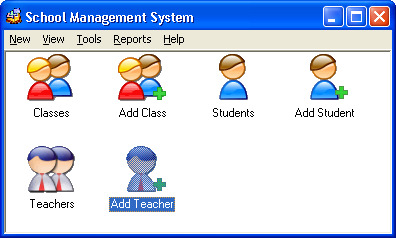 At Hikma InfoTech We have Complete Features School Management System Web Application( ERP ). School Management System is a computerized management system which can help you to manage day to day activity of student, staff and Human Resources at single place where you can easy to access and change the information at single point. It helps to manage student, Staff, parents and registration and truancy, student performance, personalized learning, exam organization, timetable construction, cover management and a range of other school activities. Provides web access through the SMS Learning Gateway, which allows teachers and parents to access the data and information in SMS from home. Who can Access the school management Software? We develop shopping cart, e-commerce portal and integrate payment gateway, shipping gateway to the portal and facilitate smooth operation of any e-commerce business. Your E-commerce website has to stand out from this crowd. You need a E-commerce website that is intuitive, informative and efficient. That will generate positive results for your business. Every E-commerce websites we design, we give high priority to client conversion and traffic. What are Classified Websites ? Classified Websites helps to promote services, businesses or any new idea between customers. Internet is going too fast to advertise your business and grab new opportunities. So classified site are very popular among the people who want to market their business and service over internet. We have created a WordPress Classified Ads Theme that will help you to make Classified Website and earn a good revenue by placing different classified ads by different people on your website. How does it Work and What you Earn per Customer? Imagine a website where users can register themselves and post their advertisement. If they pay you $5 per advertisement per month and you have approx 1000 paying customers , You make $5000 every month which keeps on growing with time over a period of year or two. But again it all depends on your niche you have selected. Even you can earn a lot with high paying niche. Fully Responsive Classified Ads Site. Lead capture for individual classified ads directly. Admin Panel for every Classified Ad submitter. Administrator also has the ability to disable pay per Classifieds and enable free Ad. Ability for Premium users to collect customer/leads detail in the dashboard.